Maharishi Mahesh Yogi is regarded by many to have been the world’s foremost authority on meditation and consciousness —”an Einstein in the field of consciousness.” Over fifty years ago, Maharishi brought the Transcendental Meditation technique to the world, presenting it as one solution to all problems—a means to create enlightenment for each individual and invincible peace for every nation. Maharishi revived the ancient meditation technique of “effortless transcending”—long lost to society even in India, the land of its origin—and reestablished the technique’s original effectiveness. Not only did Maharishi reverse the understanding that meditation is difficult, he also encouraged scientific research to be conducted on Transcendental Meditation right from the beginning days of teaching it. To date there are 600 studies on TM that have been conducted in over 120 independent research institutes in 30 countries around the world. These scientific studies have been published in leading scientific journals. Because it is simple, natural, effective, and universally applicable, the TM program has spread rapidly, attracting millions of people. Maharishi has trained over 40,000 teachers, opened thousands of teaching centers, and founded hundreds of schools, colleges and universities. Maharishi’s programs are now being applied in government, the military—especially for veterans who have PTSD, private businesses, schools, homeless shelters, prisons, and homes in every country. Maharishi disclosed that the transcendental field of Being, or pure consciousness, is the source and fundamental reality of all human experience. He also drew the parallel between this transcendental level of consciousness with the unified field explained by theoretical physicists as that level of reality which underlies the multiplicity of the universe. In addition, Maharishi revived the ancient Vedic knowledge of India, which had been lost and misinterpreted for centuries. Veda is a Sanskrit word which means knowledge—the most comprehensive knowledge about the totality of nature’s functioning, from its infinite source through all levels of manifestation. 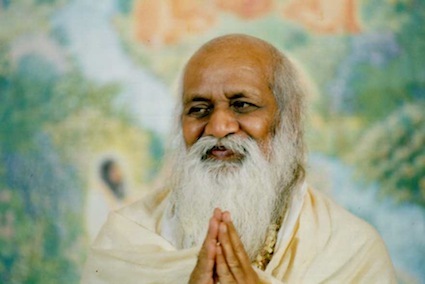 Maharishi revealed that the Transcendental Meditation technique is the technology and essence of Veda, as it effortlessly links the individual mind to the eternal cosmic value of life within. As the foremost teacher of enlightenment of his time, Maharishi has provided a way for all humanity to be free from suffering and realize the highest level of fulfillment in enlightenment.